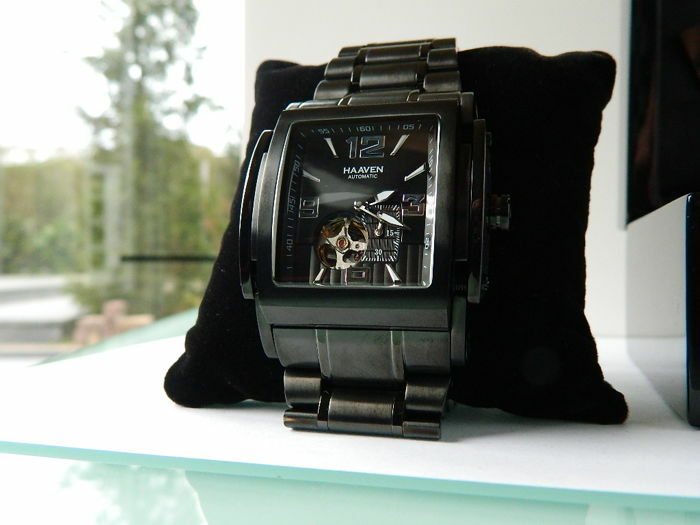 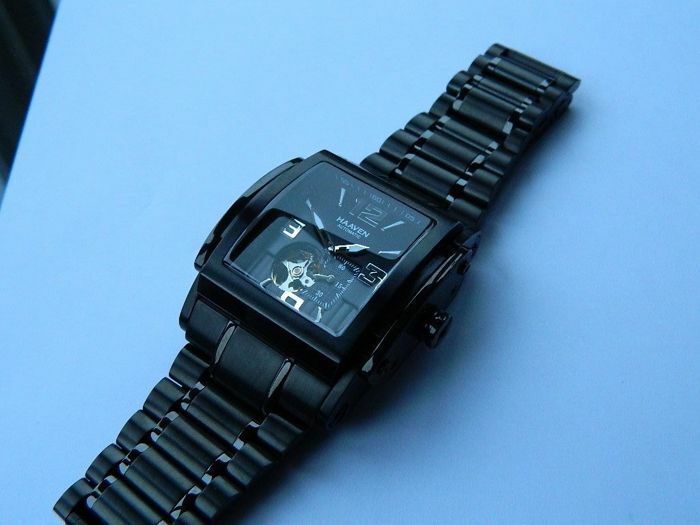 Watch with top-quality Miyota/Citizen 82S5-2 automatic movement with small second hand. 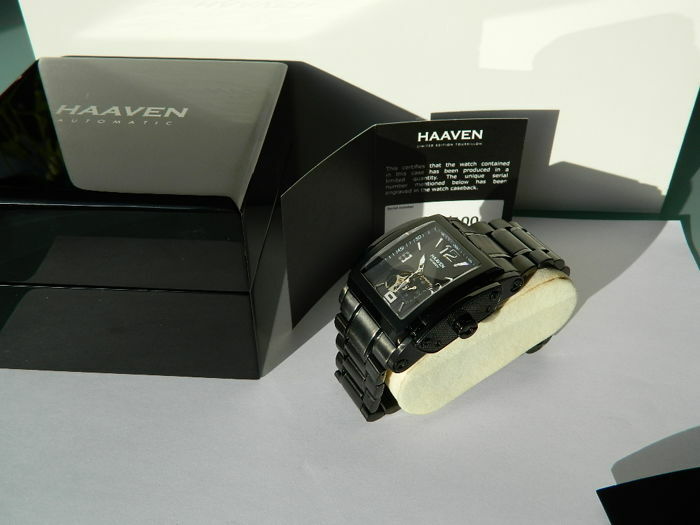 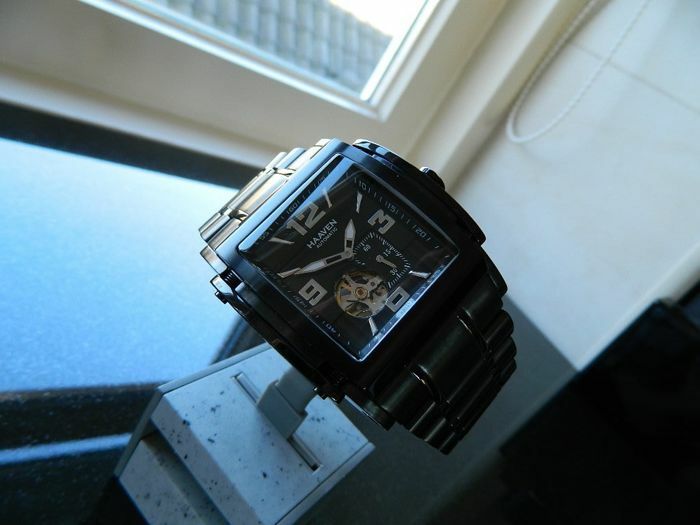 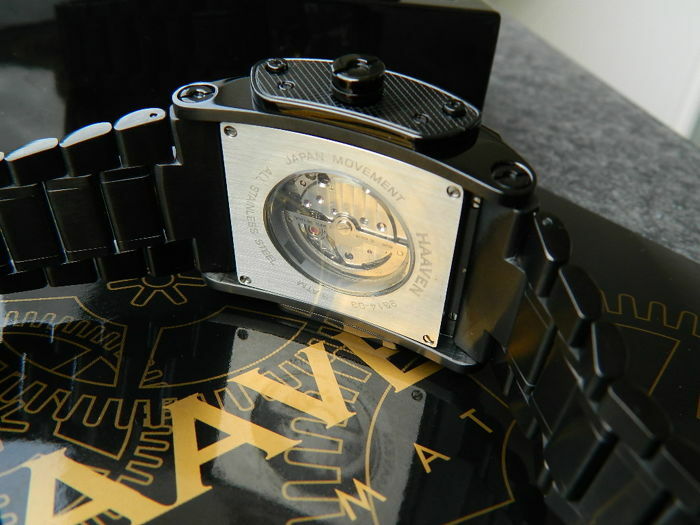 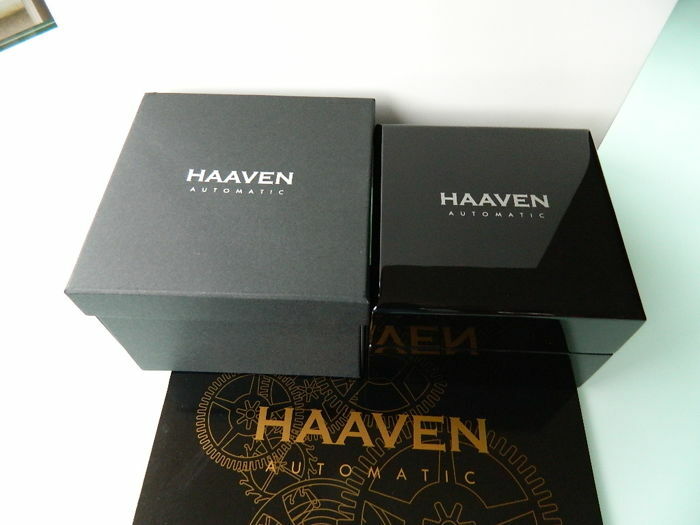 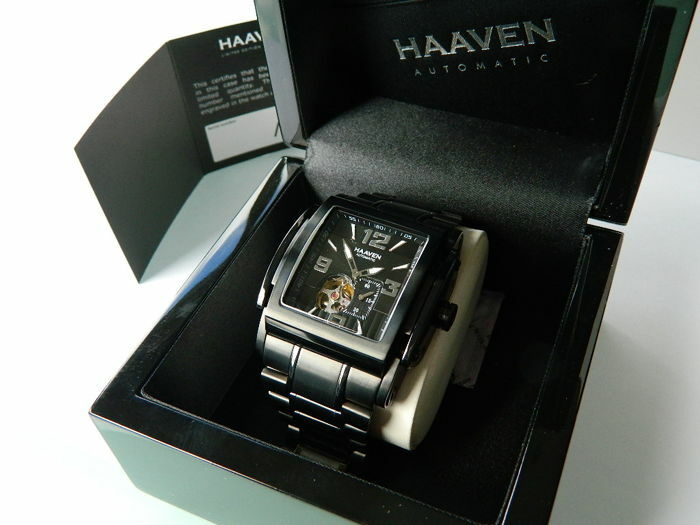 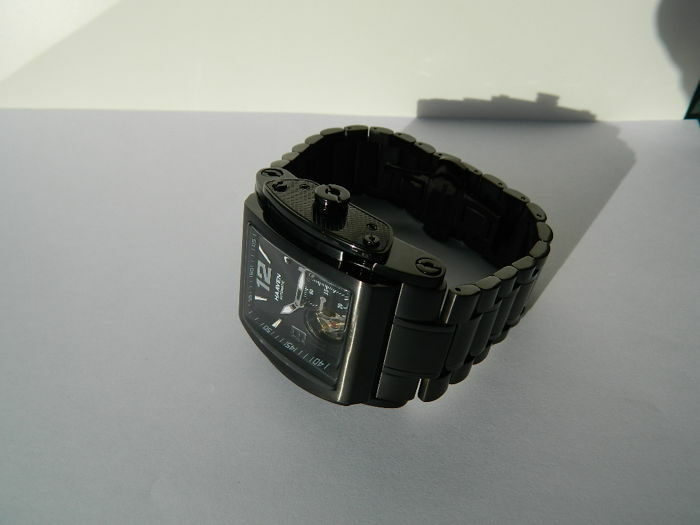 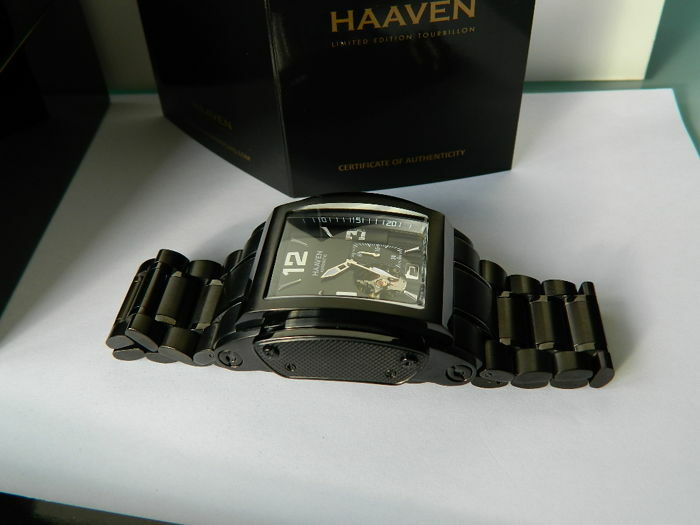 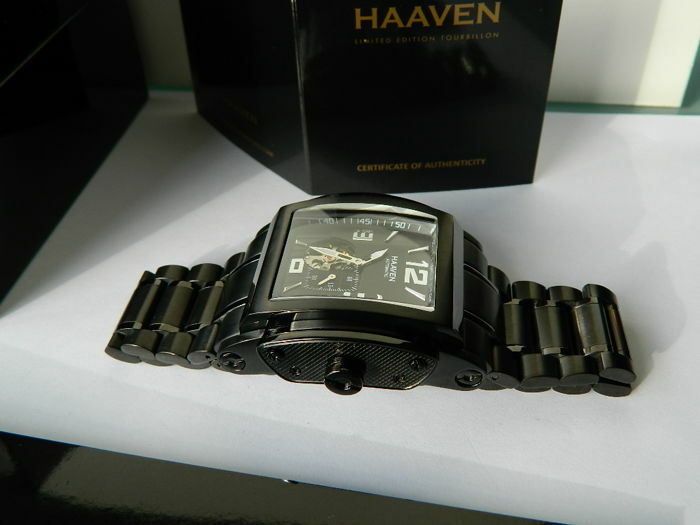 Black/slate-coloured steel case with openwork black dial and glass case back. 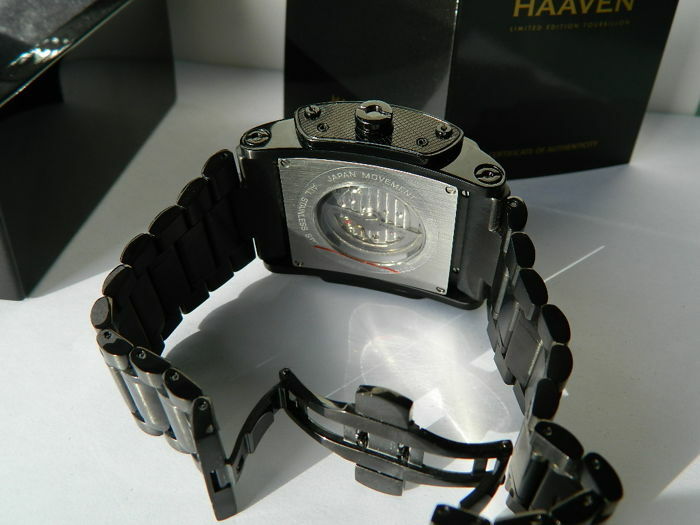 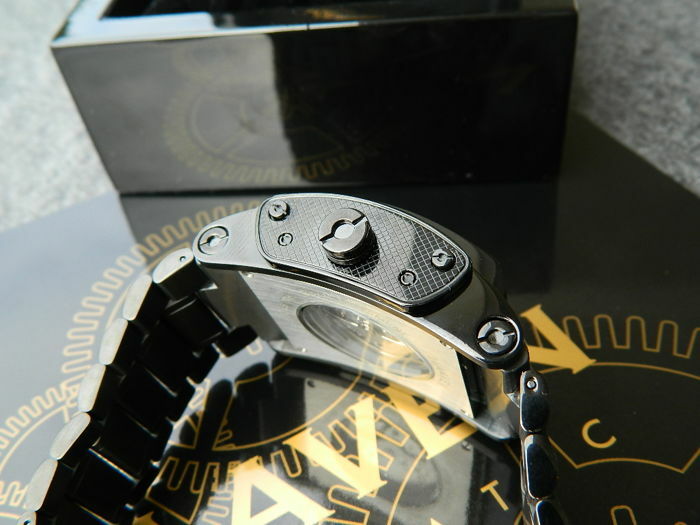 Diameter of the movement is 45 mm, measured without crown. 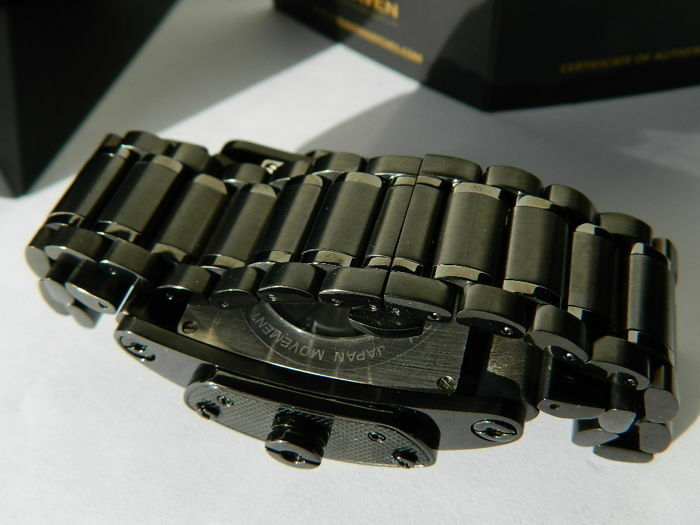 Black/slate steel strap with adjustable folding clasp. 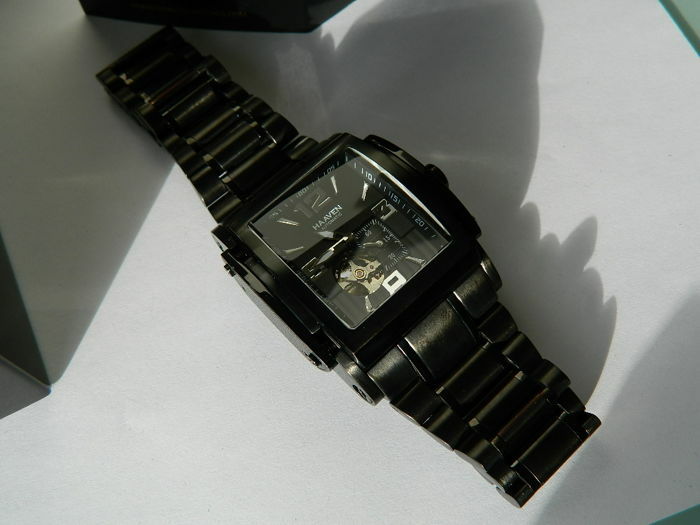 Watch has not been worn. 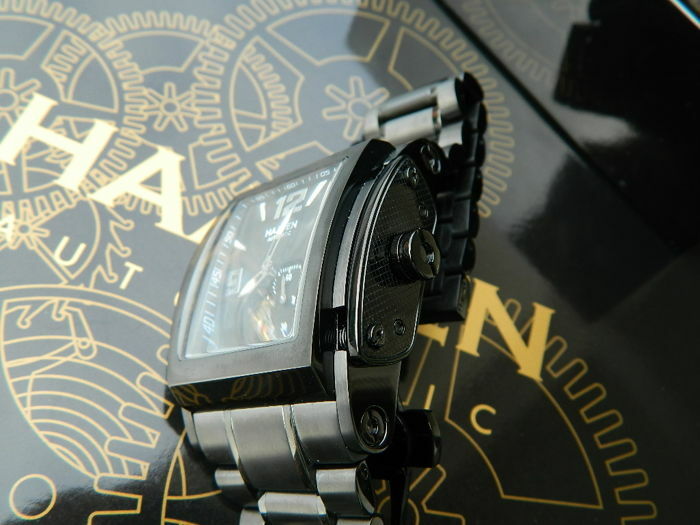 Truly a gorgeous watch, much more beautiful in reality than in the photo!